To help with this decision process, we have tapped professionals in the landscape design field to discuss where you might want to splurge and where you can save in a landscape redesign. 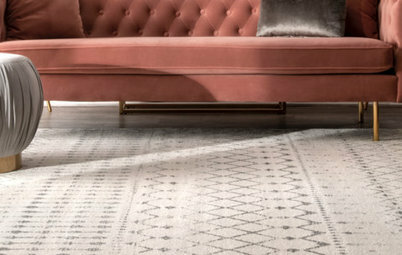 First, we’ll cover where it makes sense to invest your budget, including a master plan, high-impact elements, long-lasting materials, outdoor furniture and more. Just as you wouldn’t embark on a substantial trip without a clear map, don’t start a large-scale landscape overhaul without a master plan, even if you plan to accomplish the project in phases. Your master plan will act as a blueprint for your yard, with a complete mapping of plants, hardscape, shade structures, water features and anything else you’re planning to include in your landscape design. It also will include practical elements, like where to extend utility lines if needed. 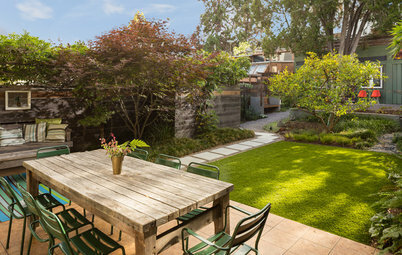 Even if you don’t plan to renovate your entire landscape at once, consider commissioning a master plan for what you’d like to achieve with your outdoor space. 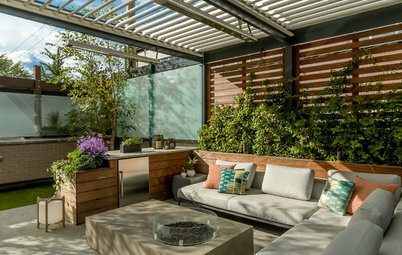 “With a complete master plan, a client can break a project into logical and affordable phases of construction,” says landscape architect Steve Kikuchi of Kikuchi + Kankel Design Group. 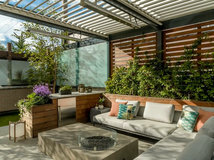 It allows the designer and homeowner to map out a logical design and construction schedule, preventing costly and avoidable surprises, like needing to dig through planted beds to trench utility lines or haul heavy equipment over a newly installed patio, down the line. 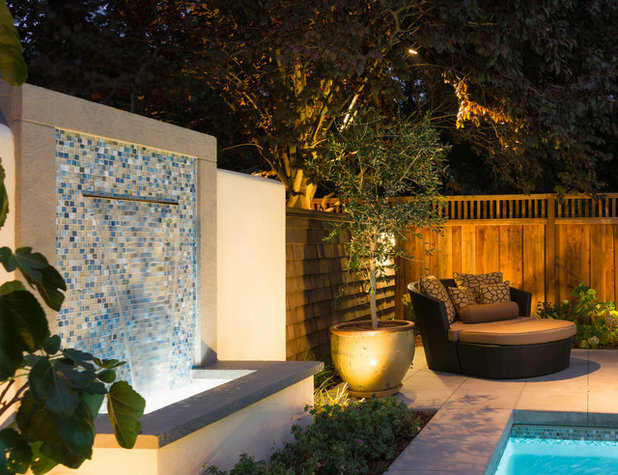 This backyard in Menlo Park, California (also shown in the previous photo), by Kikuchi + Kankel Design Group, packs a lot of features into a 1,800-square-foot space, including a plunge pool, a covered dining patio, a fireplace, a private lounge area, a fountain and an outdoor shower. 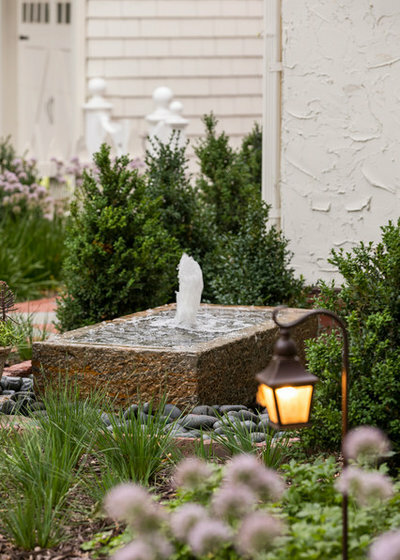 A well-thought-out master plan was key in creating a cohesive landscape design and successfully installing all the elements without having much wiggle room for navigating heavy equipment. 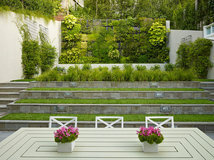 Most homeowners hire a landscape architect or designer to draw up a master plan. 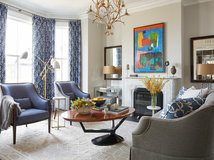 Fees vary depending on the professional and the size and scope of the project, but prices can fall between $1,000 to $5,000 or can even be higher. While a master plan may feel expensive upfront, Kikuchi points out that investing in a full master plan from the start can lead to cost savings down the line. “I always encourage master plan services, as our fees will be a lesser cost total than designing numerous separate projects over a span of years,” he says. 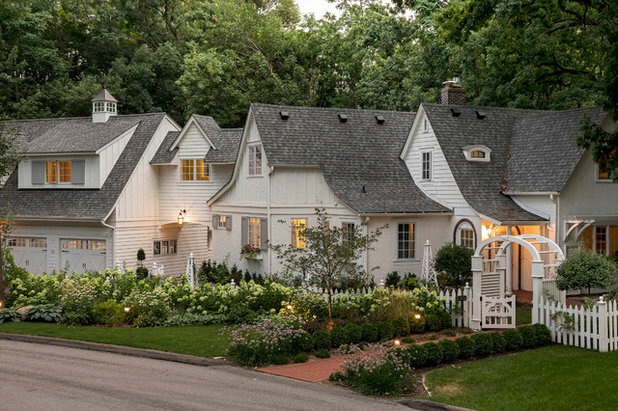 Sweeney designed this cottage-style landscape outside a home in Minneapolis. Touches like a new custom arbor and pathways made of a mix of pavers and brick prominently showcase the skill of her installation team. 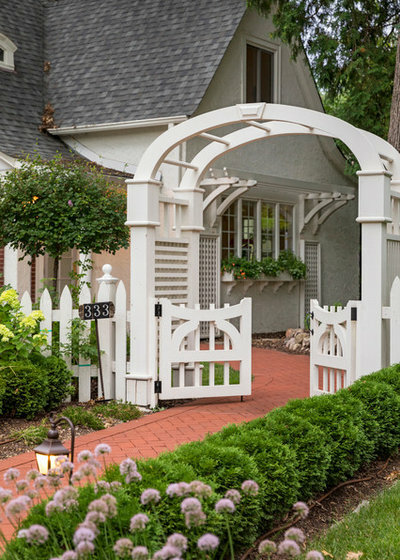 The decisions to repurpose materials and refinish the existing white picket fence, rather than installing a new one, helped save Sweeney’s clients’ budget without compromising style. 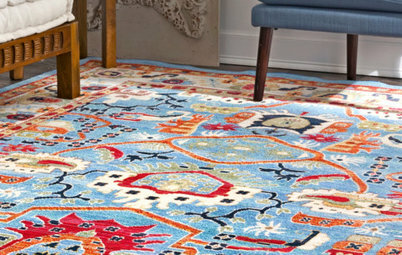 If you’re hiring a contractor, mason, woodworker or other artisan or installer, do your research and hire the best one you can afford. Read reviews online, look at examples of candidates’ past work and go by referrals. If you’re working with a design-build firm or a well-connected landscape contractor, the pro will likely coordinate and hire specialty artisans on your behalf. 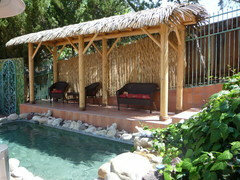 Prideaux designed this 29-by-9-foot plunge pool in a Tucson backyard for the homeowners to cool off in the desert heat. She says that elements such as in-floor pop-up cleaning heads and a durable interior finish help give the pool longevity and save in maintenance costs over time. 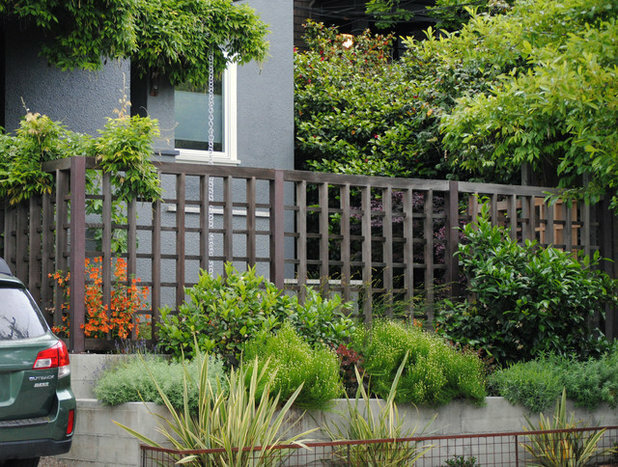 This Berkeley, California, front yard needed increased privacy and security, and a wooden fence and entryway gate add beauty and serve a function. 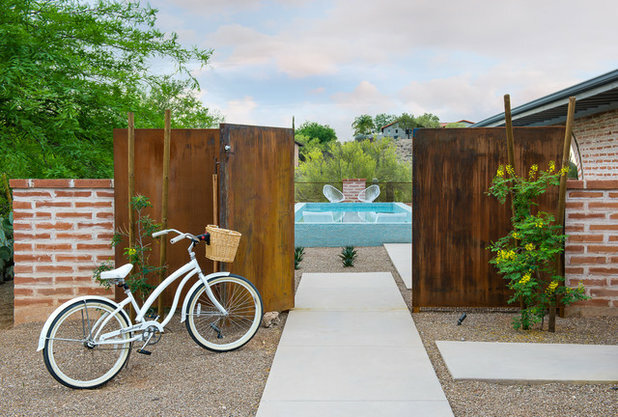 “A formal entry gate is something that people will see, touch and feel daily for many years,” says Ian Moore, who designed the garden and also built the fencing and gate by hand. Moore says that when it comes to gate design, the quality of materials and workmanship can make a big difference in how long the gate or fencing lasts. 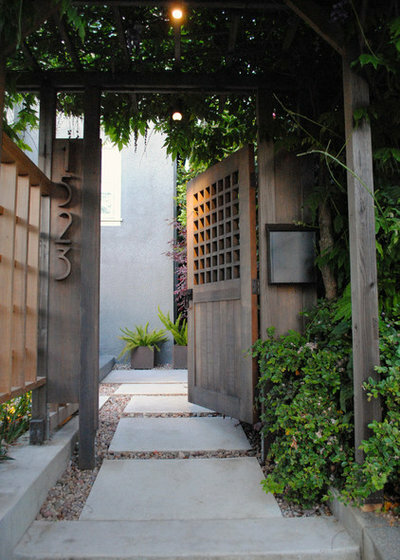 For the Berkeley garden, he used western red cedar, a naturally rot-resistant wood, for the fencing and gate and high-quality hinges and latches. “Your gate is only as good as its hardware,” Moore says. 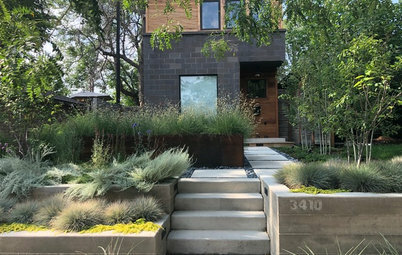 Adding retaining walls to this sloped Denver front yard solved an awkward grade change and enhances the home’s curb appeal. 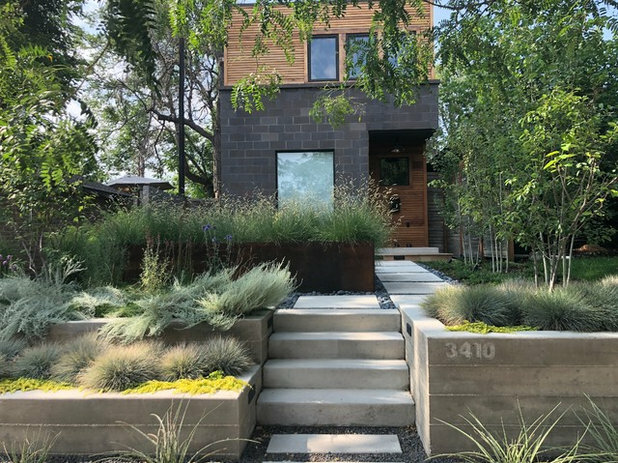 Dustin Farmer of Stems Garden Design + Maintenance, who designed the garden, used the retaining walls to showcase a selection of low-water and native plants. 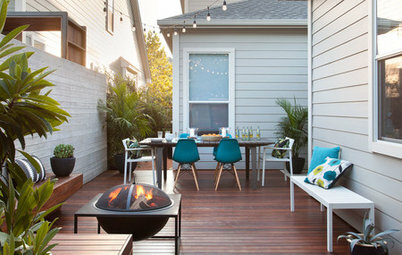 If you’re planning to enjoy your garden in the evening or like coming home to a softly lit outdoor space, sources of light and warmth can be well worth including in the design. “Lighting is worth the investment, as you get more time out of the day to enjoy your garden,” Sweeney says. For this Minneapolis cottage garden, she included lantern-style pathway lights as well as wall-mounted light fixtures on the home’s exterior to illuminate the garden at night. For long-lasting exterior lighting, look for LED and solar-powered lights and casings made of durable, outdoor-appropriate materials, treated for exposure to moisture. 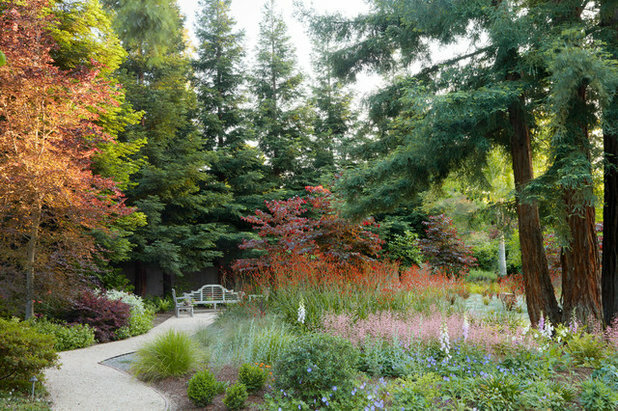 If you’re starting from a blank slate with a landscape remodel, one or two mature trees can accelerate the process of making your garden feel grown in. 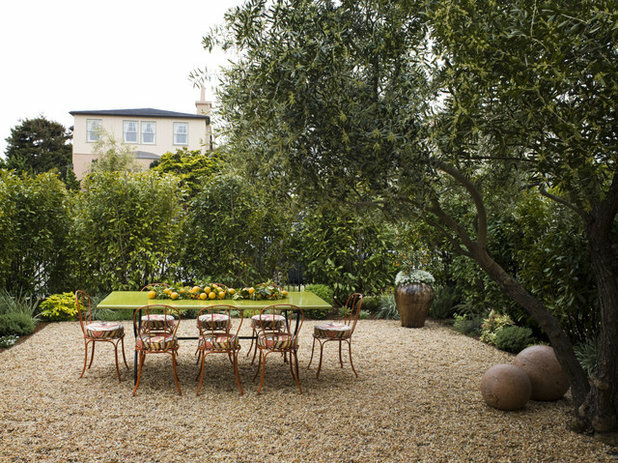 For this San Francisco garden, landscape architect Katharine Webster brought in a mature olive tree to set the stage for a Mediterranean-themed patio. In general, shallow-rooting trees, like palms and olives, can be bought in more mature sizes, while trees such as oaks or maples can be purchased as semimature specimens. While you may want to invest in one or two mature trees, consider buying many of your other plants — quick-growing herbs, perennials, ground covers, ornamental grasses, vines and more — in small sizes, as they will cost lest and will grow to mature sizes quickly. Your irrigation system is another portion of the installation where it pays to invest. The cost of replacing dead plants can add up quickly, as can your monthly water bill if plants are being overwatered or there is a leak anywhere in the system. If you’re working with a landscape architect, designer or contractor for your landscape remodel, he or she will most likely be able to recommend installers who are skilled at setting up irrigation systems. If you’re hiring someone on your own, again, do your research. It can be worth it to invest in a smart irrigation system with automatic sensors, weather-based systems or the ability to have multiple zones with different water needs on a single system. 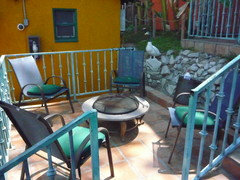 Investing in quality outdoor furniture can be another upfront cost that pays off in the long run. 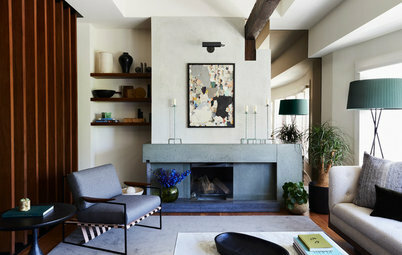 Furniture made with long-lasting materials and with a high level of craftsmanship can last for years outdoors with the right care, whereas cheaper models often need to be replaced after a few seasons. 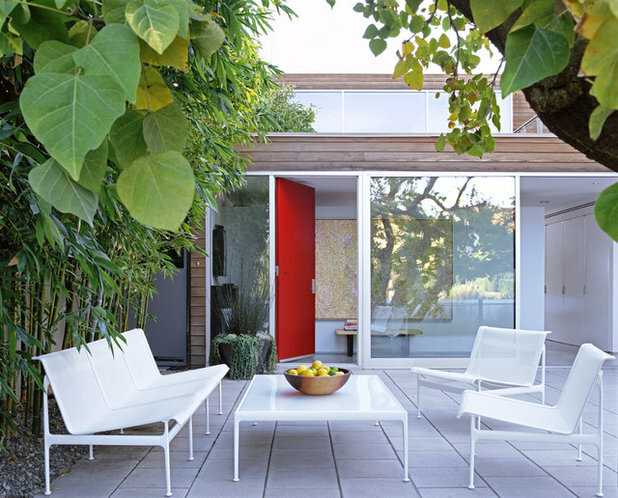 “Outdoor furniture should generally be natural teakwood, stainless steel or other metals with very durable, industrially applied paint finishes,” architect Paul Davis says. 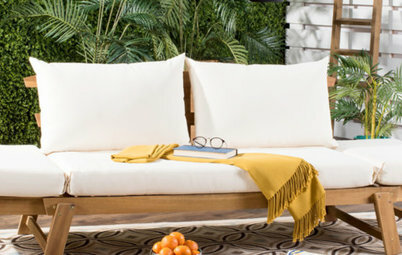 While there are also many waterproof outdoor products made from fiberglass or plastic-based materials, Davis doesn’t consider them to be quite as durable as those made of natural teak, stainless steel or coated metal. 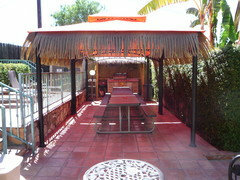 Davis designed this patio in Newport Beach, California, and chose a patio set made of weather-resistant, powder-coated aluminum and vinyl-polyester mesh. 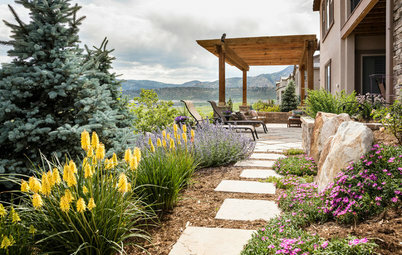 If it feels like almost every aspect of a landscape remodel is arguably a good place to invest, you’re right, and that’s what can make this decision process challenging. 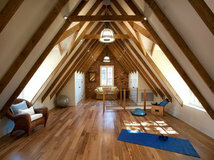 It’s almost always a good idea to invest in quality materials and craftsmanship. 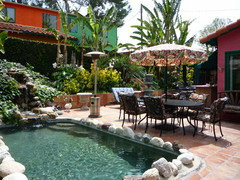 However, there are places where you can save on a landscape remodel without compromising quality or style. 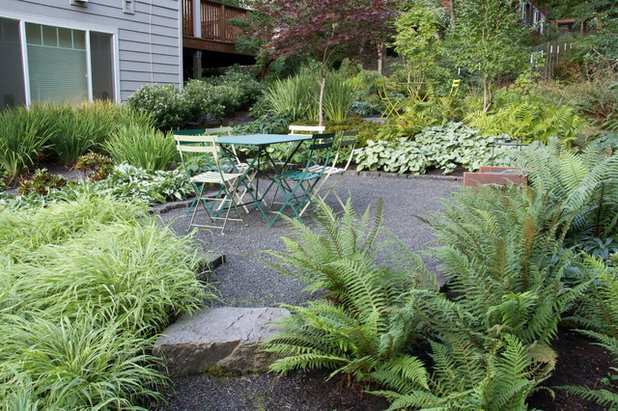 Your turn: Tell us, Where have you saved or splurged in a landscape remodel? The above highlights why you should really set goals when you are working with pros as you will often get a cookie cutter plan. Do you really need a huge amount of exterior lighting or are you just contributing to light pollution and global warming? 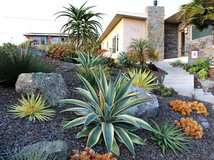 Do you really need an irrigation system or should you consider more native and drought tolerant plants? Good drainage is definitely an issue but could this be partially solved with select plantings? 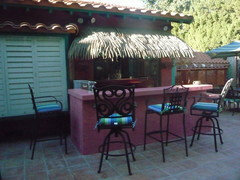 We splurged with landscaping our Los Angeles back yard by turning it into a 3 level Tropical Paradise Vacation Rental Resort with 4 Guest Houses and amenities for our guests, such as a Tiki Hut, Tiki bar, spa, lagoon pool with waterfall, BBQ area and fire pit. 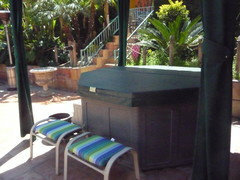 It has paid for itself and brought our guests great vacation memories for over 10 yrs. Swoon.....these yards make me weep a little.....I don’t know which of these provides the most challenges for our yard: long, fairly cold winters (down to -6F), crazy winds, almost 100” of rain last year, lots of hungry deer, and last, but not least (they ruined my pretty dwarf Japanese maple last spring) our curious black bears! Not sure who, or what, did this, but this winter we three large, established rhodies just pulled out of the ground.....most likely some frisky bears waking up during a warmer period, coming up the soggy hillside; and it’s very difficult to do any work there due to the steepness of the site....sooo frustrating! We love our critters, of course, so we really don’t want to chase them off....not that we could, anyway, lol. 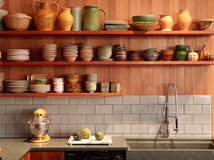 Remodeling Guides How Much Does It Cost to Hire a Kitchen Designer?